Fargo Printer - C50 range. Affordable, Reliable and simple to use. The FARGO C50 plastic ID card printer is a simple to use, reliable and affordable solution for any business size. Plug-and-play, the C50 can create personalized plastic ID cards for membership and loyalty cards, casino employee IDs, or visitor badges for schools whenever and wherever you need them, in five minutes or less. C50 Fargo printer was designed specifically to match and fit in any office size to allow small businesses to issue customized ID cards, membership cards, loyalty cards and any plastic cards with ease. 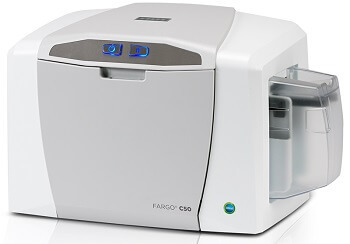 Designed with efficiency in mind, the C50 comes with built-in Swift ID™ badging software, automatic printer health monitoring via the included FARGO Workbench™ diagnostic utility and an easy to install, all-in-one printer ribbon and card cleaning cartridge, making your in-house plastic ID card printing virtually worry-free. The C50 can go from box to printing cards in minutes, providing you with a new level of printing convenience. This ID printer gives you the perfect edge to edge printing and it’s all-in-one printer ribbon and card cleaning cartridge simplifies the ribbon loading process. Fargo printer C50 is plug-and-play and very simple to use, this allows you to start printing your ID cards in minutes. 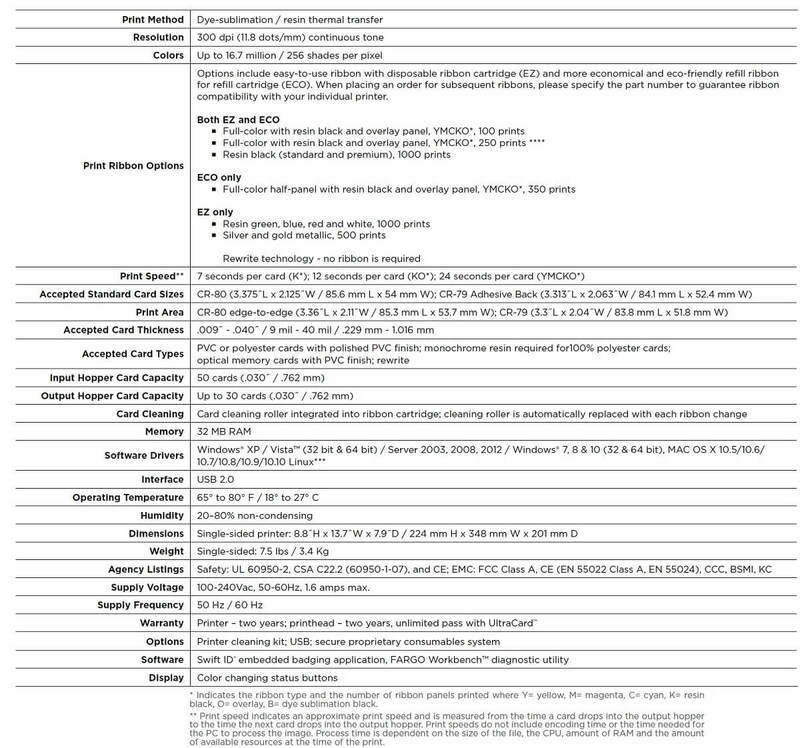 Get the hardware, software, ribbons and support you need in a single, cost effective package. Experience outstanding performance and unrivalled quality from the leading brand in card issuance. Intuitive design provides instant, system status updates through color-changing buttons. To get more information about Fargo printer range give us a call today. Ecardz has successfully serviced the NZ market since 1998 with ID card printers and consumables as well as plain and printed plastic cards and radio frequency tags & tokens. Ecardz Ltd has an overal satisfaction rating of 4.8 out of 5 based on 7 paying customer review and rating.